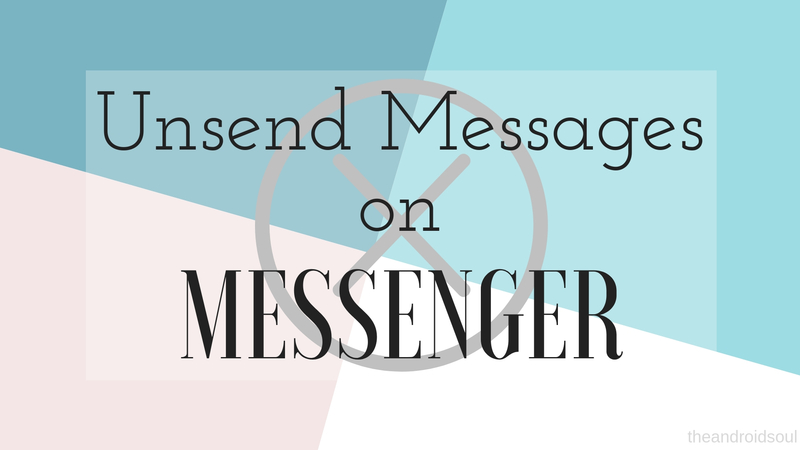 Facebook is now bringing the Unsend feature to its very own messaging application ‘Messenger‘. The Unsend feature was also rolled out to WhatsApp about a year ago and has since received a lot many updates changing the time before users can Unsend a message. The feature is being labeled as ‘Remove for Everyone’ rather than ‘Delete for Everyone’ and is currently available in Poland, Bolivia, Colombia, and Lithuania. It’s not clear when the feature would be made available in other regions, however, it’s likely to roll-out within a few days globally. The Remove feature will be available through an update, hence you should keep your Messenger application updated by heading over to the Google Play Store and checking for an update for Messenger. Users would be able to Unsend messages within 10 minutes of hitting the send button. Past 10 minutes users would not be able to Unsend a message. If you aren’t familiar with what the Unsend feature does, then, in short, it helps users remove a sent message within a specific time-frame in case the user didn’t mean to send a message or there was a mistake in the message. Unsending a message does not always guarantee that the recipient hasn’t seen the message already since the recipient might have seen the message in the notification view or while in Messenger itself.